Here see how to delete Windows.old folder to get up to 20GB – 25GB hard disk space back after installing Windows 10 anniversary update. Many don’t known that when you first upgraded from Windows 7, Windows 8/8.1 to Windows 10, it created legacy files folder on your system that contains files of previous OS in case you want to go back to the previous Windows OS version. These legacy files take up substantial hard disk space. Similarly, installation of Windows 10 Anniversary Update even if your were already on Windows 10 can also result in the loss of hard disk space because legacy files of replaced Windows 10 copy are now saved on your PC’s main drive. These legacy files are usually saved in Windows.old folder on main hard drive and are mostly lying uselessly on the hard disk while taking up precious hard disk space which you could use for other purposes. 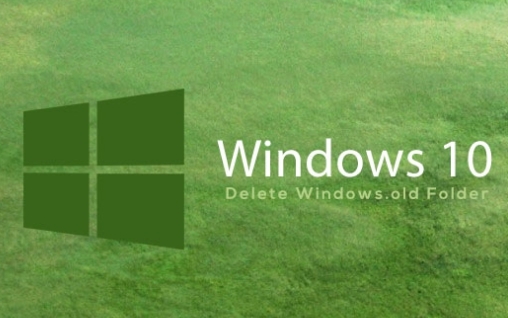 Here we are going to show you how to delete Windows.old folder from Windows 10 after anniversary update to free up almost 20GB-25GB hard disk space. When you upgrade to newer version of the Windows OS, a copy of the previous Windows operating system are automatically saved in Windows.old folder. And this Windows.old folder is saved on primary disk on PC, which serves as a backup if anything goes wrong with the new update or if you change your mind and want to go back to the previous Windows version. To revert to the previous version of Windows operating system, PC loads files saved in Windows.old folder. In Windows 10, you can roll back to the previous version within a month of upgrading to a new one, or one month after installing a major upgrade if it’s not working properly on your PC. Keeping a backup is not bad, but why keep folders that you won’t be needing often when you can save it on some external storage device and empty precious hard disk space in the process. Windows.old folder normally takes up to 15GB to 25GB of main hard disk space. Which is a lot considering it contains files that may not be of any use to you. If upgrading process went well and you don’t want to go back to the previous version then delete Windows.old folder. See step-by-step guide below to get rid of Windows.old folder and reclaim important hard disk space. 1 – On Windows 10, click This PC icon on the desktop screen or open it from the Start menu. 2 – Now in This PC right-click on main system drive [mostly Windows (C:) drive] and select Properties option from the context menu. 3 – This will open Windows Properties window. Click on Disk Cleanup button. 4 – Next, click Clean up System Files option on ‘Disk Cleanup for C:’ window. 5 – Now, make sure to check Previous Windows installation (main Windows.old folder) option. To get extra space back also check Temporary Windows Installation files, System Error Memory Dump Files options. 6 – Hit the OK button and wait for the process to complete. Now restart PC to finalize new changes. Now you should see almost 20GB to 25 GB primary hard disk space freed up on Windows 10 PC/laptop. Thought? Let us know what you think in the comments section below. How To Enable / Disable Fast User Switching In Windows 10.